Monday April 9 — Dinner with Two Poets — Major Jackson and his wife Didi Jackson will read from their work at the Black Krim Tavern, 21 Merchants Row. Dinner at 6 PM will be followed by a reading at 7:00. Dinner reservations are required and can be made by calling the Tavern at 802-728-6776. Wednesday April 11, 7 PM — Open Mic Poetry Night — Poets of all ages and abilities are encouraged to bring original poetry to share. Kimball Public Library lower level, 67 North Main Street. Light refreshments will be served. Wednesday April 18, 7 PM — Poetry reading featuring poets Danny Dover, Geza Tatrallyay, Peggy Whiteneck and Ina Anderson, Kimball Public Library lower level, 67 North Main Street. Thursday April 26, 7 PM — Farmer Poets in the Sugarhouse — Taylor Katz of Free Verse Farm, Toby Bashaw, and other local farmers whose lives are enriched by poetry will read original work at Silloway Maple, 1303 Boudro Road, Randolph Center. Sweet treats and farm products will be for sale. Ongoing throughout the month of April — A walking tour of more than 100 poems displayed in downtown storefronts and organizations. Ina Anderson grew up in Cumbria, England. She has now lived in Sharon, Vermont, for many years. Her poems have appeared in several publications, including the anthology Perhaps It Was the Pie. Her first poetry collection, Journey Into Space, was published by Antrim House in 2017. She runs a poetry radio show, Wordstream, on Royalton Community Radio, and leads poetry workshops at Seven Stars Arts Center in Sharon. Danny Dover’s poems have appeared in various journals including Oberon, Himalayan Journal, Blueline, and Bloodroot. He was a 2013 Pushcart nominee. Danny’s first full-length book of poetry, Tasting Precious Metal (Antrim House Books), was published in 2014 and a chapbook, Kindness Soup, Thankful Tea, came out in 2006. Danny is a retired Dartmouth College piano technician. Suspecting that his social studies teacher never read term papers, Danny once handed in the same paper twice and received a higher grade the second time. Didi Jackson — Didi Jackson’s poems have appeared in The New Yorker, Ploughshares, The Common, and Water~Stone Review among other publications. Her manuscript, Almost Animal, (now Killing Jar) was a finalist for the Alice James Book Award, the Lexi Rudnitsky First Book Prize by Persea Books, and the Autumn House Press first book award. Didi’s first collection of poems, Killing Jar,is forthcoming from Red Hen Press. Her chapbook, Slag and Fortune, was published by Floating Wolf Quarterly (2013). Currently, she teaches Poetry and the Visual Arts, 20th c. Poetry of War and Witness, and Creative Writing at the University of Vermont and serves as the poetry editor for Green Mountains Review. Major Jackson is the author of four collections of poetry including Roll Deep which won the 2016 Vermont Book Award. He is the recipient of a Guggenheim Fellowship, a National Endowment for the Arts Fellowship, among other honors. He is the University Distinguished Professor at the University of Vermont and serves as Poetry Editor of The Harvard Review. Taylor Mardis Katz is a poet and a poet for hire. Her poems have appeared in print and online journals, on the radio, and in various other ephemera. 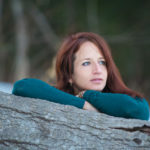 Armed with a MFA in Creative Writing from San Diego State University, she writes poems for herself and others from the comfort of her own Chelsea, VT homestead, as well as at local hootenannies. With her husband, she runs Free Verse Farm & Apothecary, a small herb farm specializing in farm-grown herbal products. Geza Tatrallyay — Born in Budapest, Geza escaped with his family in 1956 during the Hungarian Revolution, immigrating to Canada. He graduated with a BA from Harvard in 1972, and, as a Rhodes Scholar, obtained a BA/MA from Oxford in 1974, completing his studies with a MSc from London School of Economics in 1975. Geza’s professional experience has included stints in government, international finance and environmental entrepreneurship. He is the author of several thrillers and memoirs, as well as two published collections of poetry (CELLO’S TEARS and SIGHS AND MURMURS) and is currently working on a third (EXTINCTION). He currently divides his time between Vermont and San Francisco. Peggy Rose Whiteneck has been writing poetry for most of her life. Over the years, her work has appeared in a few national journals that are dedicated to disciplines ranging from the literary arts to theology. She is the author of the poetry collection From These Earthly Parts (Old Line Publishing/Maple Creek Media, 2010). Ina Anderson grew up in Cumbria, in the north of England. She worked as a technical editor for professional journals in London and in the U.S., including Icarus: International Journal of Solar System Science, with Carl Sagan. She then turned to teaching communication, writing, and literature, spending over 20 years at the Community College of Vermont as a faculty member and student advisor. Ina’s poems have appeared in several publications, including Mountain Troubadour, Red Fox Poets, and a recent anthology, Perhaps It Was the Pie. Her first poetry collection, Journey Into Space, was published in 2016. Ina has lived in Sharon, Vermont, for many years. Megan Buchanan – Megan Buchanan’s poems have appeared in such as journals as The Sun Magazine, make/shift, A Woman’s Thing, and multiple anthologies. Her first full-length collection, Clothesline Religion, is just out from Green Writers Press and is widely available. Born in California, Megan’s lived for long stretches in Ireland, the mountains of the southwest, and New England. Her work has been supported by the Arizona Commission on the Arts, the Vermont Arts Council, and the Vermont Studio Center. Megan is also a collaborative performer and dancemaker, a teacher, and an activist. She currently lives in southern Vermont with her two children. meganbuchanan.net. 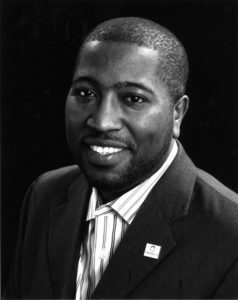 Chard deNiord – The VT Poet Laureate was born in New Haven, CT and raised in Lynchburg, VA. After graduating from Lynchburg College, deNiord earned his MDiv from Yale Divinity School. Before pursuing ordination, he worked as an inpatient psychiatric aide at the CT Mental Health Center. Five years later, he left to pursue poetry, attending the Iowa Writers’ Workshop, where he received his MFA in 1985. Returning to New England, deNiord taught at private schools for over a decade while publishing his poems. In 1990, he published his first collection, Asleep in the Fire (University of Alabama Press), while teaching comparative religions and philosophy at the Putney School. In 1998, deNiord began teaching at Providence College, where he was eventually named the tenth recipient of the Joseph R. Accinno Faculty Teaching Award. That same year, he founded the Spirit and Letter Workshop, a ten-day program of workshops and lectures in Patzquaro, Mexico. In 2002, deNiord cofounded the New England College MFA program in poetry, which he directed until 2007. In addition to several collections of poetry, he has authored a book of essays and interviews with renowned poets. He is currently a professor of English at Providence College. He lives in Westminster West with his wife, Liz. 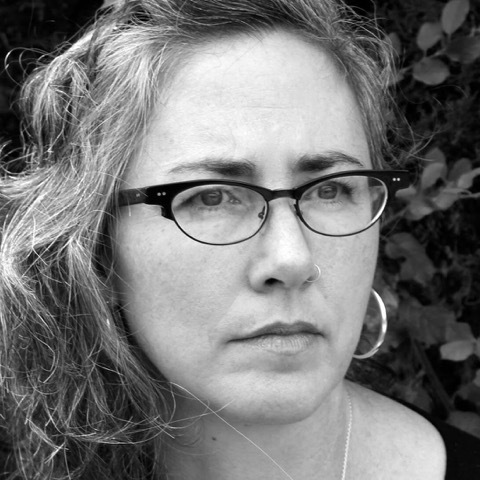 Laura Foley won first place in the Common Goods Poetry Contest, judged by Garrison Keillor; the 2016 National Outermost Poetry Prize, judged by Marge Piercy; Harpur Palate’s Milton Kessler Memorial Poetry Award; and the Grand Prize for the Atlanta Review’s International Poetry Contest. She is the author of five poetry collections, her most recent being Night Ringing. The Glass Tree won the Foreword Book of the Year Award, Silver, and was a Finalist for the NH Writer’s Project, Outstanding Book of Poetry. Joy Street won the Bisexual-Writer’s Award. Her poems have appeared in numerous journals and magazines. Laura holds graduate degrees in English Literature from Columbia University. 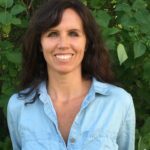 Trained in chaplaincy through the New York Zen Center for Contemplative Care, she volunteers in hospitals and prisons, and is a certified Shri Yoga Instructor. She lives in Pomfret, with her partner Clara Giménez, and three big dogs. 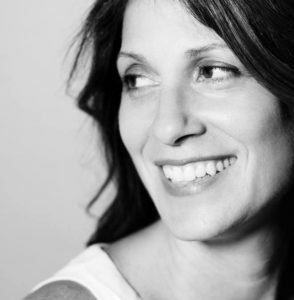 Navah Fried – Navah Fried loves writing poems. She feels that creative writing it is the most meaningful way to communicate. Besides writing, Navah usually finds herself listening to music, playing guitar and singing, going for walks, and thinking. She hopes to be a published poet in the future, on the side of an unknown career. Navah has been studying creative writing at Montpelier High School for the past two years and is excited to go on to college to help make the world better. Her work has been featured in Montpelier’s PoemCity for the past two years, but this is her first public reading. Nancy Hewitt‘s chapbook Heard was published in 2013 by Finishing Line Press. Her poetry has appeared in Mid-American Review, Prism Review, Phoebe, The Comstock Review, Off the Coast and other journals. 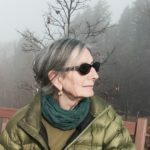 Her awards include the Nancy Hargrove Editors’ Prize for Poetry from Jabberwock Review and a Pushcart Prize nomination. She is a clinical social worker with a private psychotherapy practice in Salem, MA. She is the first Poet Laureate of Swampscott, MA, and divides her time between Swampscott and East Randolph, VT.
Reuben Jackson – In a 2012 Seven Days story introducing the new host of Vermont Public Radio’s “Friday Night Jazz”, retiring jazz-show host George Thomas said of Jackson, “He thinks like a poet.”. Reuben Jackson’s poetry reflects his love of jazz, and as regular VPR listeners know, his baritone voice is as compelling as the music he presents. The Goddard College grad is an accomplished critic who has written for the Washington City Paper and the Washington Post in his hometown of Washington, D.C., as well as for the magazines Jazziz, JazzTimes and All About Jazz. His reviews have been featured on National Public Radio’s “All Things Considered.” Before joining VPR, Jackson served for 20 years as the curator of the Duke Ellington Collection at the Smithsonian Institution. Jackson’s poetic forte is haiku. 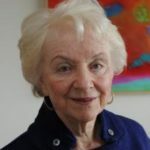 Madeleine Kunin – Madeleine May Kunin was the fourth woman to be elected Governor in the U.S. and the first woman to serve as Governor of Vermont. She was born in Zurich, Switzerland and immigrated to the U.S. with her mother and brother during World War II. She served as Deputy Secretary of Education and Ambassador to Switzerland in the Clinton Administration, and is the founder of the Institute for Sustainable Communities, a non-government organization which focuses on climate change and civic society. At present she is a Marsh Professor at the University of Vermont, a commentator on Vermont Public Radio, and a blogger on the Huffington Post. She is the author of The New Feminist Agenda, Defining the Next Revolution for Women, Work and Family, selected as an Editor’s Choice by The New York Times. She is also the author of Pearls, Politics and Power, how women can win and lead, Living a Political Life, and The Big Green Book. She is a fellow at the Academy of Arts and Sciences and a recipient of the Eleanor Roosevelt award. She is married to John W. Hennessey and the mother of four children and six grandchildren. Sydney Lea is a poet, novelist, essayist, editor, and professor. He served as Vermont’s Poet Laureate from 2011-2015. Lea has received fellowships from the Rockefeller, Fulbright and Guggenheim Foundations, and has taught at Dartmouth, Yale, Wesleyan, Vermont and Middlebury Colleges, as well as at Franklin College in Switzerland and the Eotvos Lorand University in Budapest. His stories, poems, essays and criticism have appeared in The New Yorker, The Atlantic, The New Republic, The New York Times, Sports Illustrated and many other periodicals, as well as in more than fifty anthologies. 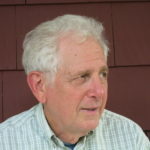 He founded New England Review in 1977 and edited it until 1989. Lea has been described as “a man in the woods with his head full of books, and a man in books with his head full of woods.” His affection for story, moreover, an affection derived in no small measure from men and women elders in New England, colors his poetry, just as a relish for the musical properties of the word colors his prose. His lifelong passion for the natural world informs almost his every utterance. He lives in Newbury, Vermont, and is active both in literacy efforts and in conservation. Verandah Porche works as a poet-in-residence, performer and writing partner. Based in rural Vermont since 1968, she has published Sudden Eden (Verdant Books), The Body’s Symmetry (Harper and Row) and Glancing Off (See Through Books), and has pursued an alternative literary career, creating collaborative writing projects in nontraditional settings: literacy and crisis centers, hospitals, factories, nursing homes, senior centers, a 200 year-old Vermont tavern and an urban working class neighborhood. Broad Brook Anthology, a play for voices, honors the lives of elders in Guilford, Vermont. Listening Out Loud documents her residency with Real Art Ways in Hartford, CT. Verandah initiated—and for almost 30 years taught—the poetry program at Vermont’s Governor’s Institute on the Arts. “Come Over,” is a cd of songs written with Patty Carpenter, performed by the Dysfunctional Family Jazz band. She has read her work on NPR stations, in the Vermont State House and at the John Simon Guggenheim Museum. The Vermont Arts Council presented her with its Award of Merit in 1998, and its first Ellen McCulloch-Lovell Award in Arts Education in 2015, and Marlboro College, an honorary Doctor of Humane Letters in 2012. Verandah was featured in “Freedom and Unity: The Vermont Movie.” “Shedding Light on the Working Forest,” a collaboration with visual artist Kathleen Kolb is currently showing around New England. Marjorie Ryerson is the author of numerous books, including an internationally award-winning photography book and several non-fiction books. She is a well-published poet and photo-journalist. A writing professor for many years, Marjorie has taught poetry for Middlebury College at its Bread Loaf writing campus since 1990. She holds an MFA in poetry from the University of Iowa Writers’ Workshop. Marjorie was the driving force behind Randolph’s first PoemTown celebration in 2014. Geza Tatrallyay – Born in Budapest, Hungary, Geza escaped with his family in 1956 during the Hungarian Revolution, immigrating to Canada the same year. He grew up in Toronto, attending the University of Toronto Schools, and graduated from Harvard University with a BA in Human Ecology. Geza was selected as a Rhodes Scholar from Ontario, attending Oxford University and graduating with a BA / MA in Human Sciences; he completed his studies with a MSc in Economics from London School of Economics and Politics. Geza represented Canada as an épée fencer in the 1976 Olympic Games in Montreal. He is a prolific author of thrillers, memoirs, and poetry. Geza’s professional experience has included stints in government, international organizations, finance ,and environmental entrepreneurship. Since 2004, he has been managing a few investments and devoting himself to his family and his writing. Baron Wormser – Baron Wormser is the author/co-author of fourteen books and a poetry chapbook. His books include Scattered Chapters: New and Selected Poems (Sarabande Books), The Road Washes Out in Spring: a Poet’s Memoir of Living Off the Grid (University Press of New England), and The Poetry Life: Ten Stories (CavanKerry Press). His novel Tom o’ Vietnam, about a Vietnam veteran who is obsessed with King Lear, will be published by New Rivers Press in the fall of 2017. Wormser has received fellowships from the National Endowment for the Arts, Bread Loaf, and the John Simon Guggenheim Memorial Foundation. From 2000 to 2006 he served as poet laureate of the state of Maine. He has taught many dozens of workshops across the United States and continues to offer generative workshops along with workshops focusing on the works of a particular poet.